While some industry sectors with high risk of human rights abuse have been grappling with their human rights impacts for years, the maritime sector has been largely absent from the discussions and the spotlight. 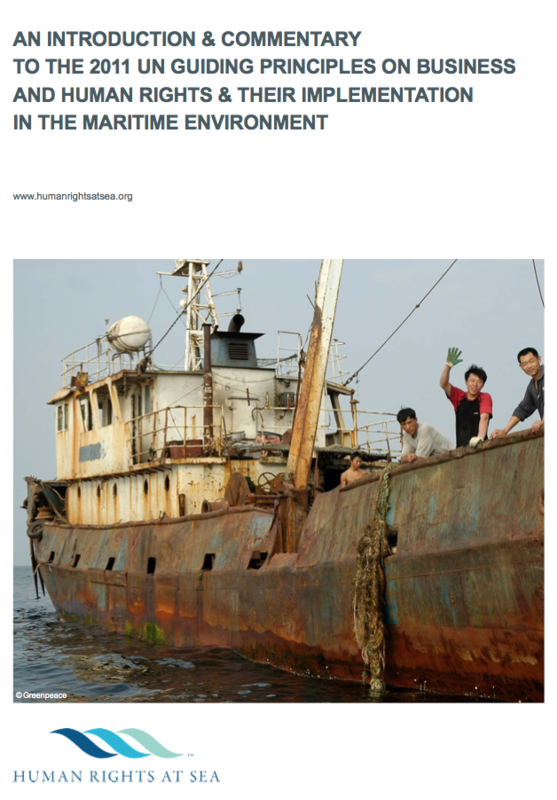 However, as this report highlights, the sector faces urgent human rights issues and public scrutiny of maritime companies’ behaviour is rising rapidly. From working conditions of ship workers, to modern-day-slavery in the fishing industry, to violent attacks by pirates and others, to environmental contamination affecting human health, the industry is in need of norms, and standards to address these issues effectively. This Human Rights at Sea publication is a welcome and important contribution to raise awareness about human rights responsibilities of businesses among a sector that has been largely absent from most discussions around the UN Guiding Principles on Business and Human Rights. As a first and essential step, the publication highlights the difference between Corporate Social Responsibility and human rights due diligence. IT explains the importance of putting human rights due diligence at the core of a company’s business model. There is now rising evidence that thriving companies integrate human rights into their policy and practice, both for their own operations and those of their supply chain. Maritime companies need to assess their major human rights risks, and then prepare due diligence plans to ameliorate those risks, and promote respect for human rights. The report brings these responsibilities to life by providing examples of company best practice and highlighting the fact that failure to respect human rights can bring serious consequences for a company. Companies in the maritime sector can use this publication as a first step to understand their responsibilities and start developing robust policies and management systems with human rights at the centre.